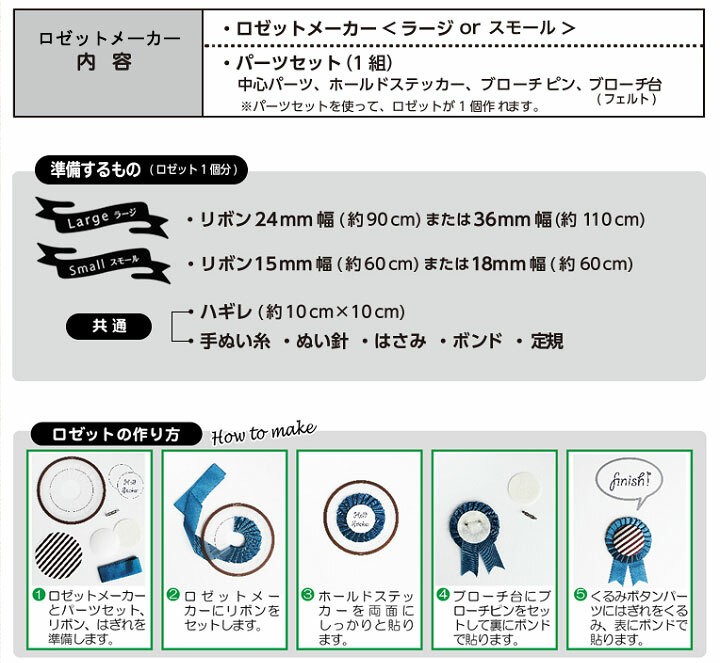 Evenly rosette manufacturers and rosettes one make part set of the original design of pleats break Contains one set. 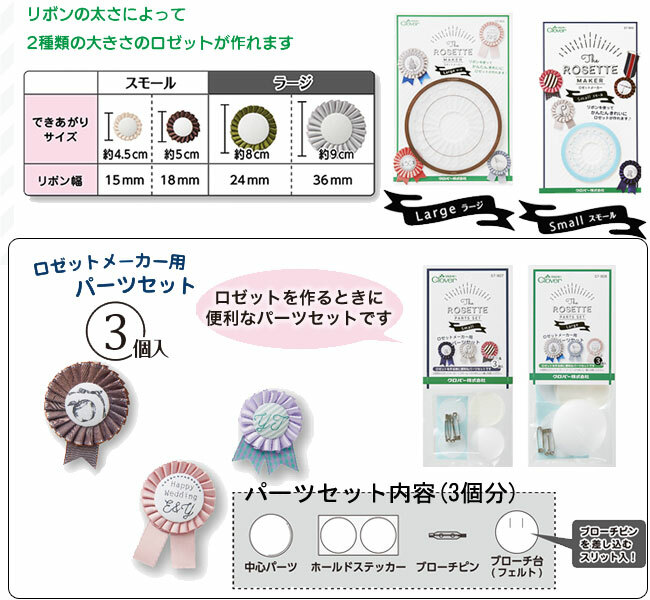 It makes two types of the size of the rosette depending on the thickness of the ribbon, size and voila make a ribbon of 15mm width is about 4.5cm, will be about 5cm that's 18mm width. Center parts There is also easy to make part set. 1. 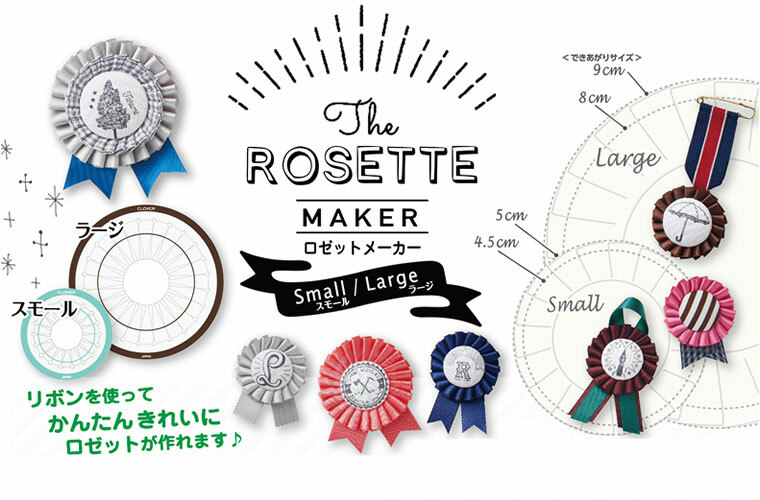 Prepare the ribbon, and then set the rosette manufacturer. 2. Paste the hold stickers, and remove the ribbon from the body. 3. Paste the center part and brooch table with a bond.